The Earthroamer folks were awesome. Even though they were busy getting ready for the Overland Expo show they got us in, tuned up the rig and on our way in a day. We picked up some spares for the upcoming summer trek to Alaska and started home with Lou and Nancy, another Earthroamer couple who live near the Earthroamer plant. 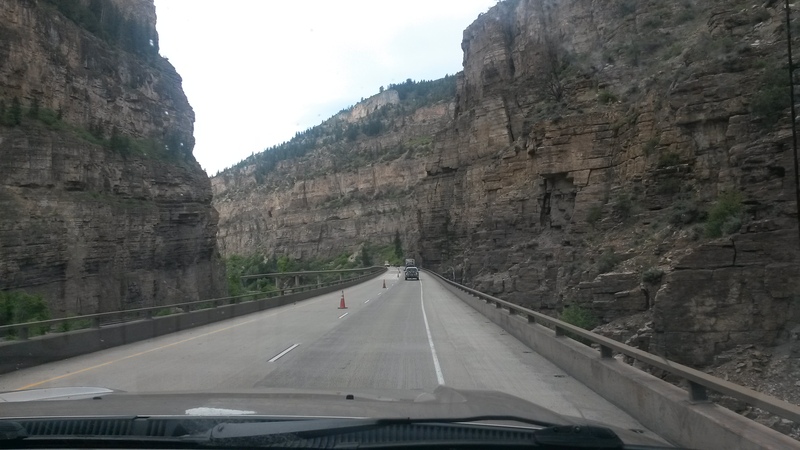 While we aren’t big fans of freeway traveling, I-70 through the Colorado rockies is a beautiful drive. 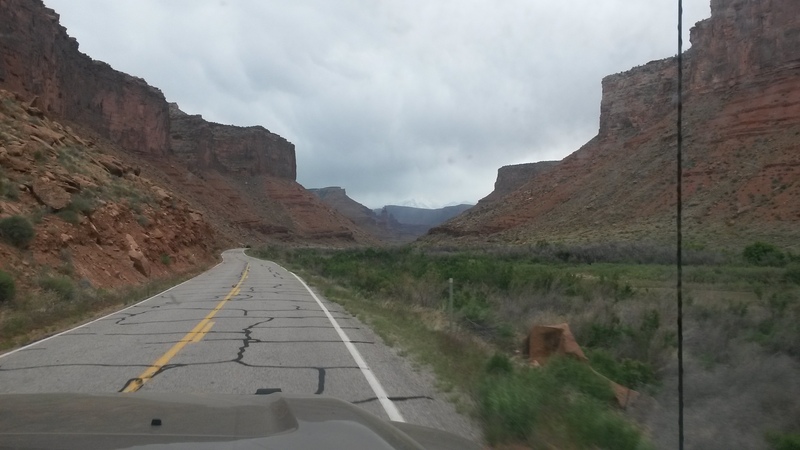 It follows the Colorado River and in places passes through some beautiful gorges where the freeway is stacked on top of itself to fit through. We stopped in Fruita, Colorado at a Mexican butcher shop to pick up something good for dinner. It was chicken in an orange sauce that grilled up nicely. The butcher threw in some ribs to try and made a great appetizer. 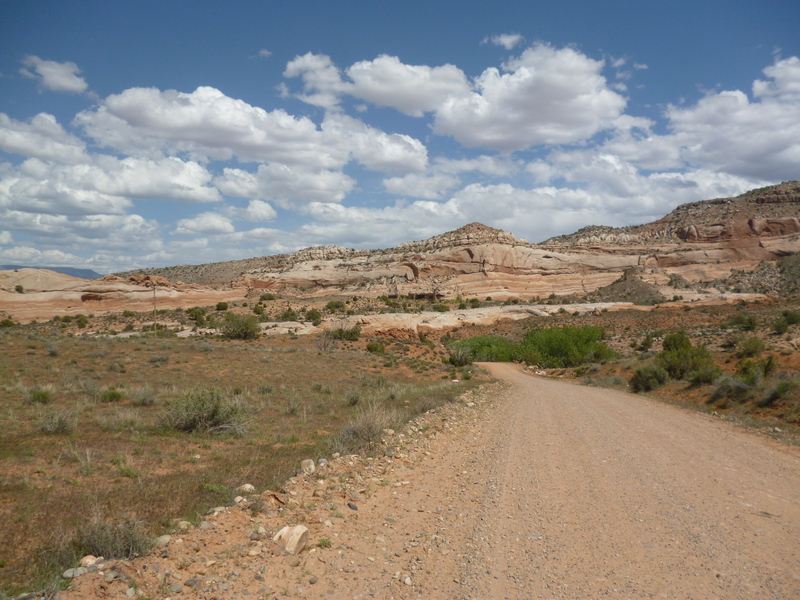 We made our way to Dewey Bridge, Utah and diverted to a dirt road that is in the Utah Backroads and 4 Wheel Drive Trails. Roamers are really made for this type of exploring. I was able to jump out and snap a shot of them coming up behind us on the road. 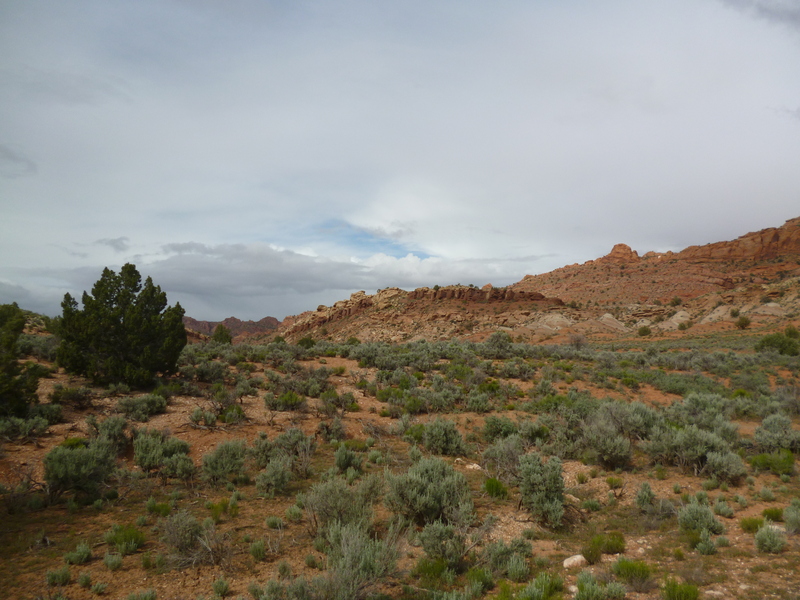 We camped at a BLM campsite (Cowskin Campground) along the road that is mostly used by mountain bike groups that ride these areas. 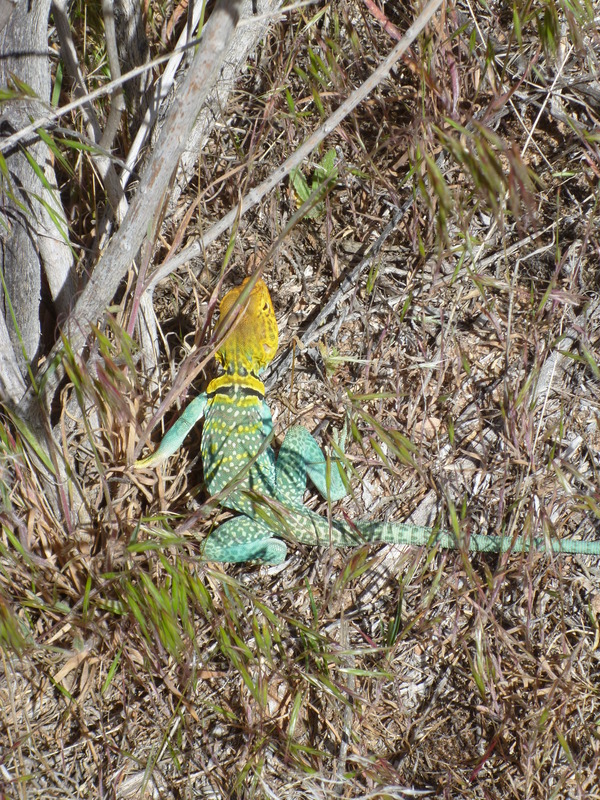 We hiked around the area and found this colorful fellow trying to hide, but having a hard time due to his colors. Ate a great meal of chicken, ribs, re-fried beans and tortillas next to a nice campfire. 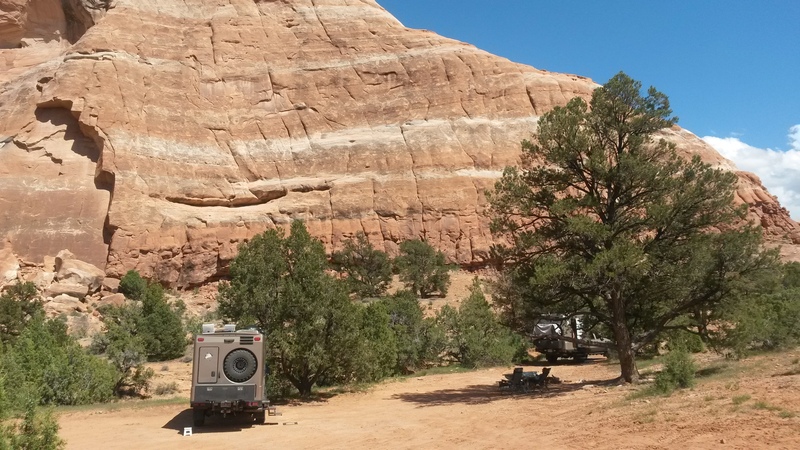 This spot is now in the top 10 places to camp. 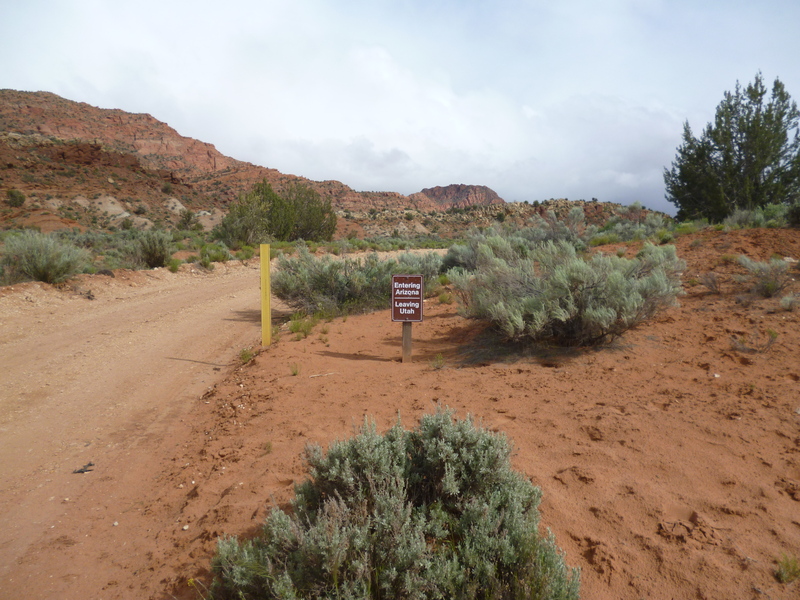 The next morning we headed towards Moab, again a beautiful drive along the river. A spring weather front dropped some rain and snow on us off and on during the entire trip. 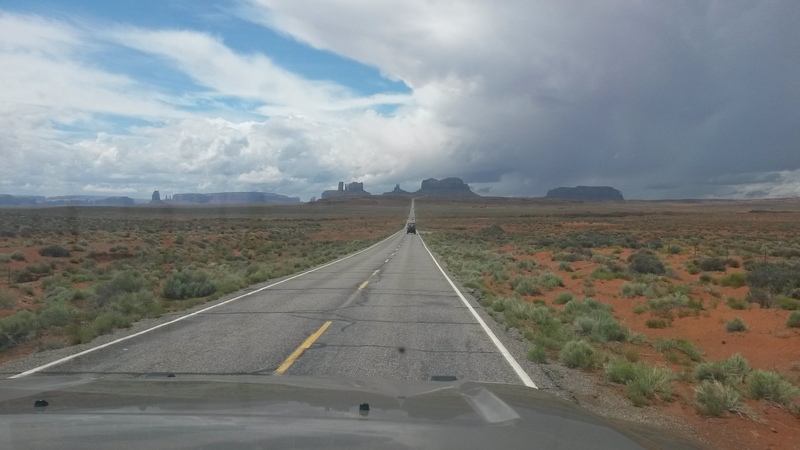 The plan was to camp in the Valley of the Gods, but it was pouring when we arrived there so we continued south to Flagstaff, AZ area through Monument Valley. 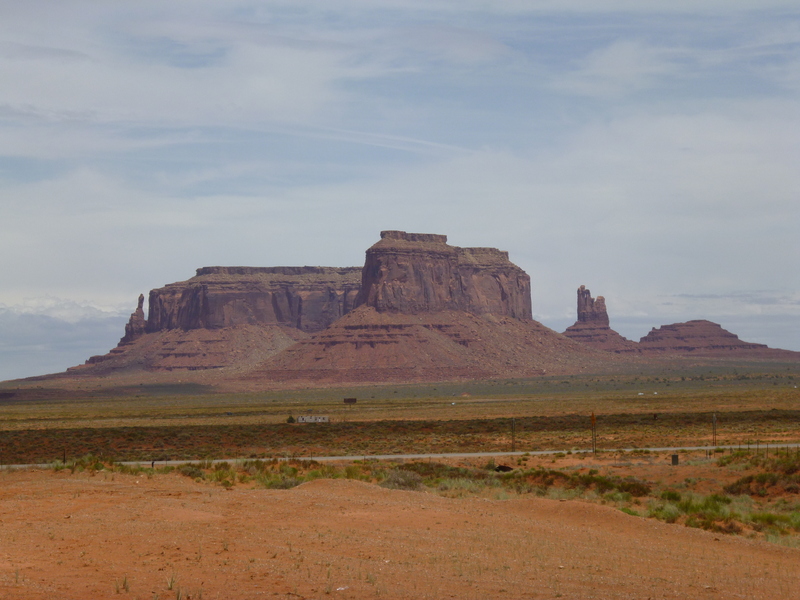 We stopped at Monument Valley for lunch and to take in the view. We stopped for the day at Sunset Crater, a volcanic field north of Flagstaff. 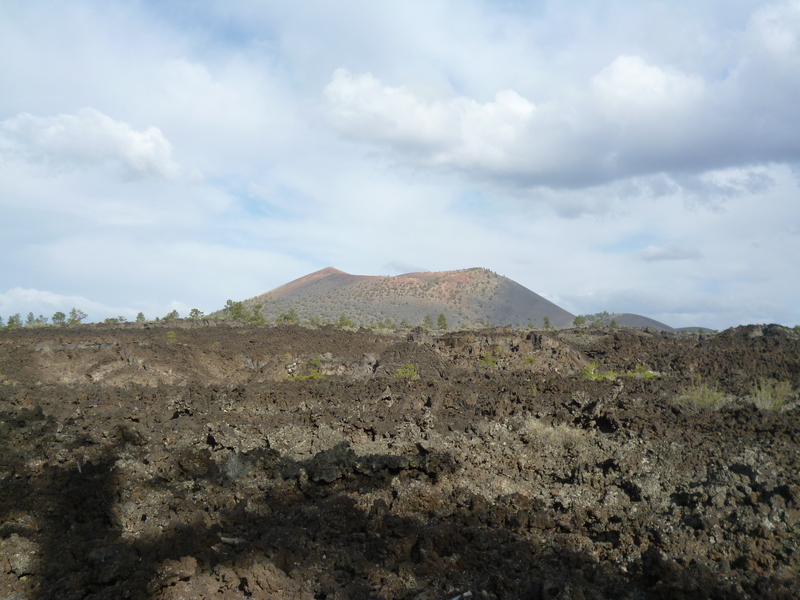 We got a hike in to the lava fields before the rain and snow hit later in the evening. We then split ways the next morning. 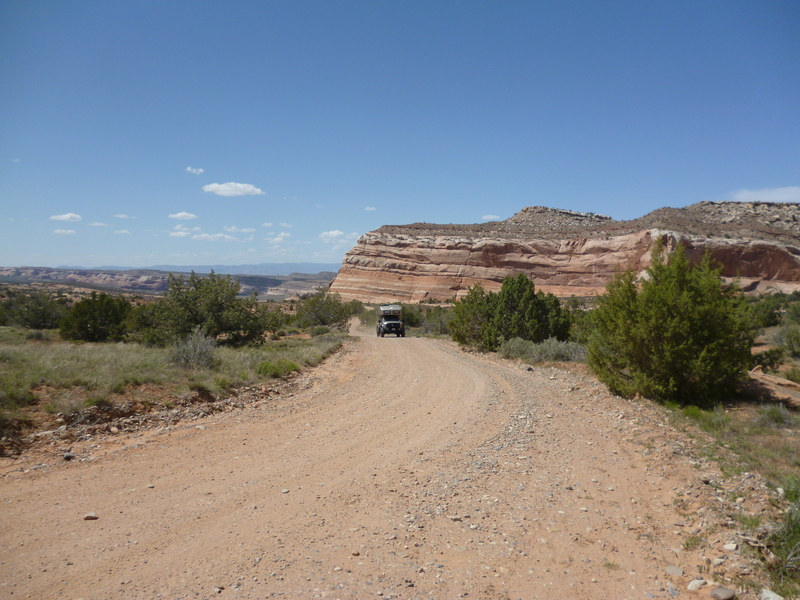 Lou and Nancy headed south to Mormon Lake and the Overland Expo, while Pam and I headed north west to the Vermillion Cliffs area on the Utah / Arizona border to meet up with some folks that were backpacking in the Paria Canyon. We camped the night at Stateline Campground that is located off of House Rock Valley Road, another dirt road that runs through some pretty country. These are our preferred state line crossing roads. 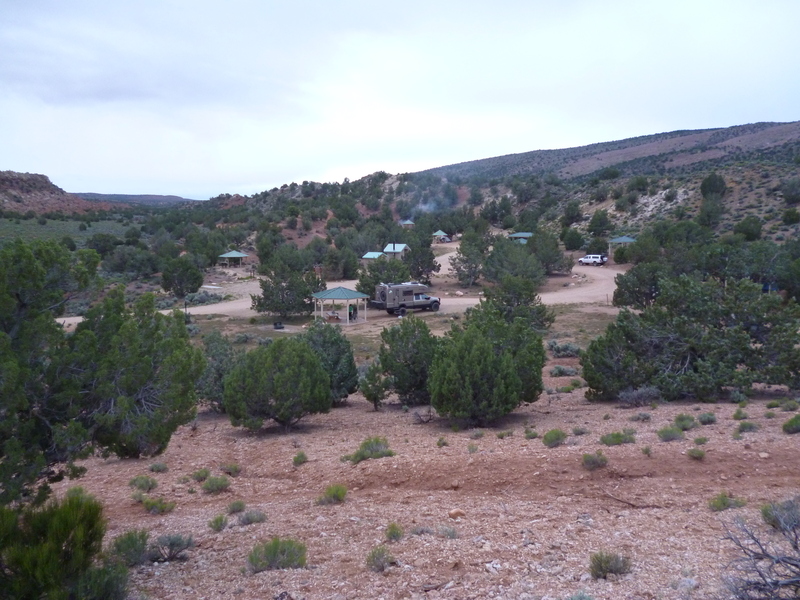 The campground is so remote that its first-come first-served and free, with great facilities for the middle of nowhere. Pam and I enjoyed a great dinner (grilled of course) and a campfire, but our friends never did show. 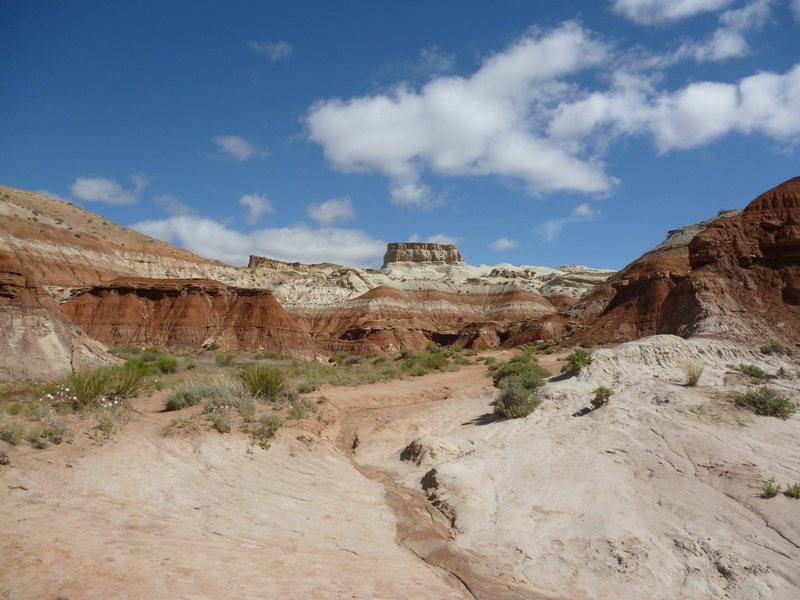 It turned out that the weather and resulting run-off water made hiking out of the canyon impossible until it passed, so they did not make it out safely until the next day. 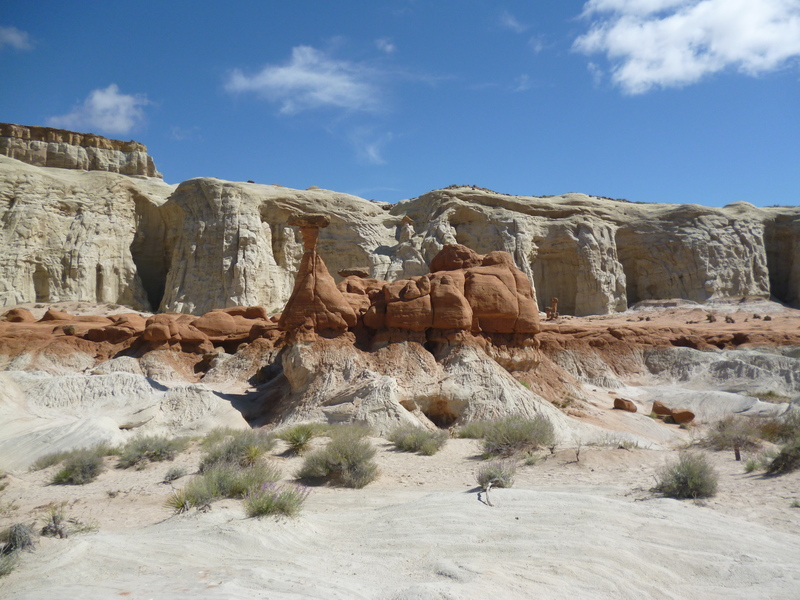 On our way home the next day we stopped to do a hike to some toadstools, rocks supported by eroding softer rock. The whole area was pretty spectacular in color. We stopped at the Overland Expo on the way. 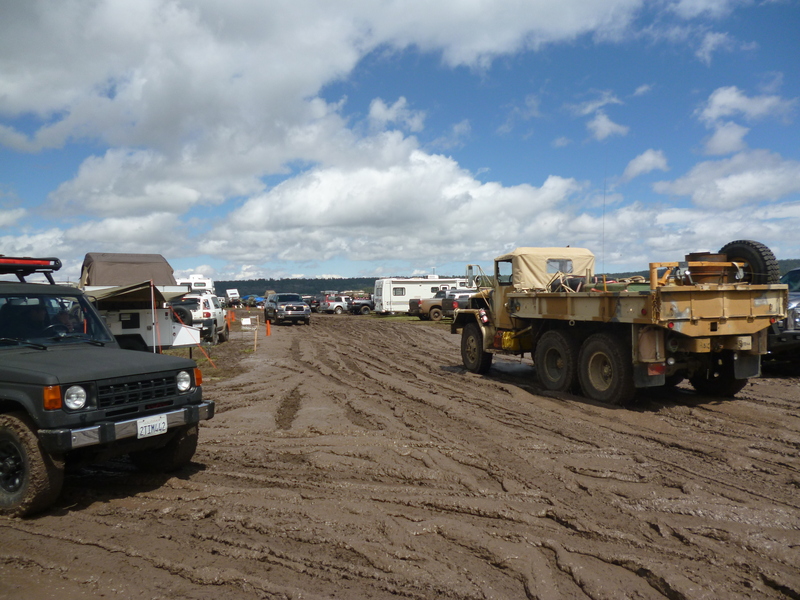 The lake bed is usually dry, but the recent rains turned it into about 6 inches of slick mud where the expo was located. It was kind of fitting that you really needed 4 wheel drive to get into the parking lot and the expo. It was a blast driving in it, but now the Roamer needs a serious bath. 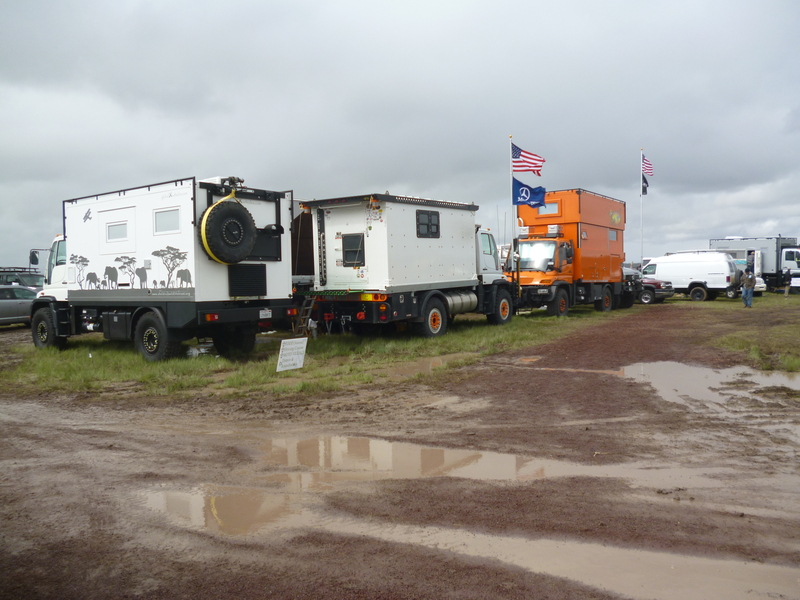 They have every kind of vehicle you can think of at the expo, but we’ll stick with the roamer. Home now for a few weeks before we begin our summer trek. While last summer was an east / west route, this one will be more of a north/south route to Alaska and back. Just need to start packing and get about 50 lbs of mud off the roamer – lol.